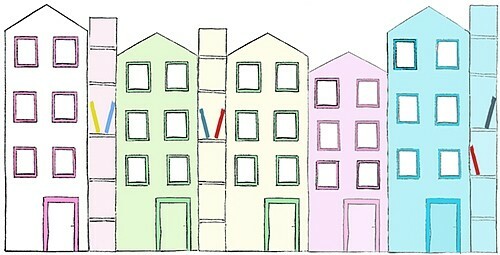 Buy your child their own house, or even two or three, and turn their room into a little village. 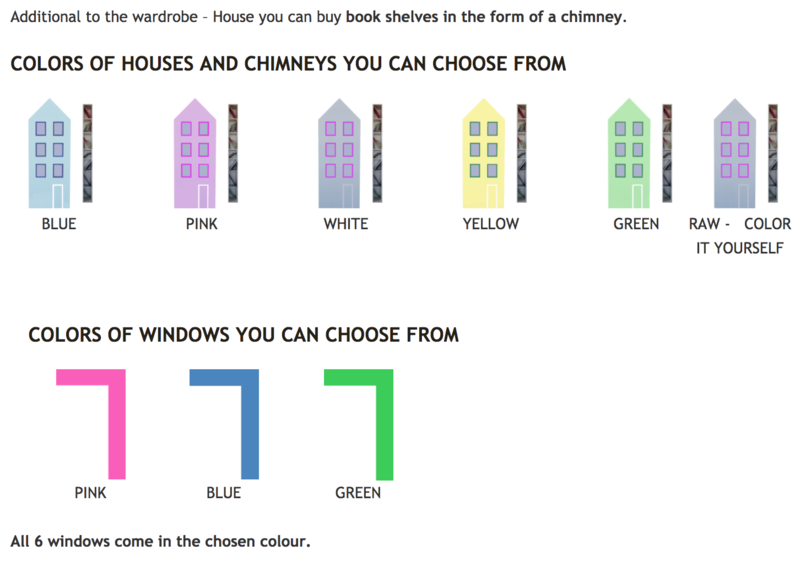 You can choose between three heights, different colours of the houses as well as the windows, and add a chimney bookshelf – there are so many possible combinations! The windows are what truly make the wardrobe special - you can put a picture of your child or someone else into it and the house will get residents. If you would like to paint the wardrobe yourself or draw something on it, you should order a raw version and then you can paint it together with your child at home. This is going to be fun! Together with the wardrobe you get 2 shelves and a hang rod. You can also organise the interior of the wardrobe yourself. The wardrobe can be used for clothes and for toys. You can also make your own combination. The displayed colour in the chart will depend on your monitor and browser and cannot be shown adequately. The finished colour, therefore, may not be as shown in the picture.